The rural area where Transport Minister Ian Borg is proposing to build a swimming pool. Transport Minister Ian Borg has been told to redraw his plans to turn a field in a pristine rural area into a pool to get in line with policy. The permit he was given has now been withdrawn until fresh plans are submitted to the Planning Authority. 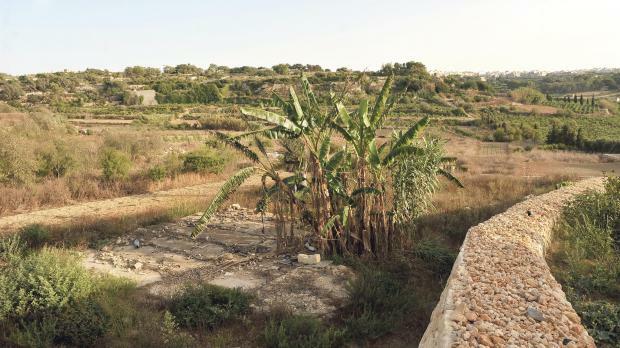 The Environment and Planning Tribunal upheld one of the 11 reasons listed in an appeal by Mġarr resident Noel Ciantar to back his argument that the permit was ‘abusive’. 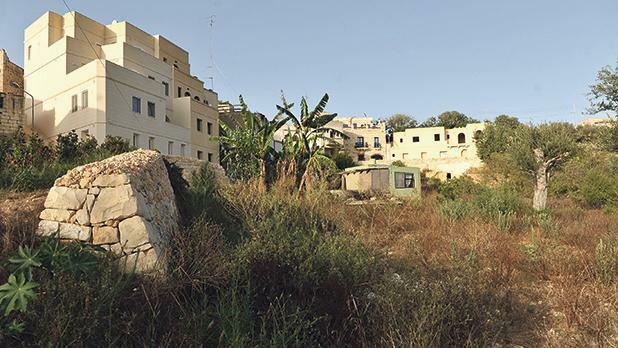 The tribunal noted that although only developments no bigger than 75 square metres are permissible in the area where the minister wants to build a private pool outside the development zone, the PA still accepted the application despite the proposed structure exceeding the allowed floor area. According to the tribunal, this was a subjective decision made by PA officers even though the policy did not allow such a concession. It, therefore, ordered that the permit granted to Dr Borg, who is also politically responsible for planning, should be withdrawn and that a permit should be issued once new plans in line with policy were submitted. However, the minister was still given some flexibility as his house, which he had described as his only matrimonial home, was considered by the tribunal as consisting of two different dwellings, thus allowing him to have a larger outside floor area than that allowed in the case of one dwelling. The 400-square-metre house is adjacent to the area where Dr Borg is proposing to build his pool. When a permit for his original home in Santa Katerina, a rural hamlet in the limits of Rabat, was granted in 2014, Dr Borg had rejected accusations he was building two houses and insisted it was only one dwelling. Planning experts said the tribunal’s decision would mean that the minister would have to reduce the size of the planned pool by between five and 10 square metres. However, he would still be allowed to turn agricultural land into an outside area, boosting the market value of his property in the process. Despite the objections of Noel Ciantar and various NGOs, the Planning Commission had gone ahead and given its green light to the Planning Minister. The tribunal rejected all the other reasons raised by Mr Ciantar. Among other things, he said the planning commission members had a conflict of interest as they were appointed by Dr Borg himself. Mr Ciantar also recalled that the Ombudsman had found the original permit to have been “a grave error”. The Ombudsman had declared that the planning permit issued to Dr Borg was abusive and recommended a review of the permit. However, Prime Minister Joseph Muscat, then politically responsible for the planning authority, did not take action. Dr Borg had acquired the agricultural land adjacent to his home prior to 2014 for less than €12,000. However, he opted to submit two separate applications, one for the house and, then, once the permit was issued, he filed his request for the pool. Several NGOs had opposed Dr Borg’s application and commented that as the minister responsible for planning, he should set an example and not develop ODZ land. The tribunal’s decision can be appealed in court.